No, the electric fence is fine – these are used commercially and poultry netting does the same thing. You need a fairly powerful energizer for it to jump across the feathers to the skin and the chicken would need to be in contact with the ground (electrical path to ground). If your fence wire isn’t buried, you would need to earth it using an earth rod (metal spike in ground) and wire connecting that to your fence. The bird needs to be touching the wire fence and the electric wire for the current to flow from one to the other, across the bird, giving the shock (essentially a muscle spasm which feels unpleasant). They then avoid the fence after getting a shock, there is no other side effect. Omlet chicken fencing does not work. Our chickens made holes in it within a few weeks and are able to get out. We can no longer use it. A complete waste of money. I contacted Omlet twice to tell them this but they did not bother replying. Poor customer service. I’m not sure how that has happened. 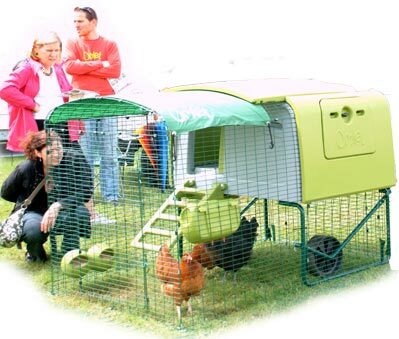 I have had mine for a number of years now and still use it when I want to keep the chickens off part of the garden. Rabbits or mice will chew it of course so maybe it wasn’t the chickens making holes? As for customer service, I’ve never had any problems with Omlet, they have a good reputation too. 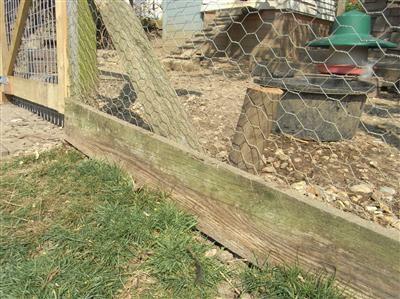 unless you’re seeing your chickens tear up the fence, my bet is that it’s rabbits chewing up. the rabbits at my place have made my plastic fencing more of a complicated gating system than fence. How often do I need to clip the wing, to keep them off balance? The feathers regrow after a moult which is normally only once per year. You need to leave them alone while growing (they will be filled with blood) and clip afterwards. What a great website. I’ve read your advice as we are just about to build a chicken pen around our apple tree orchard. It will be approximately 10m X 24m square. 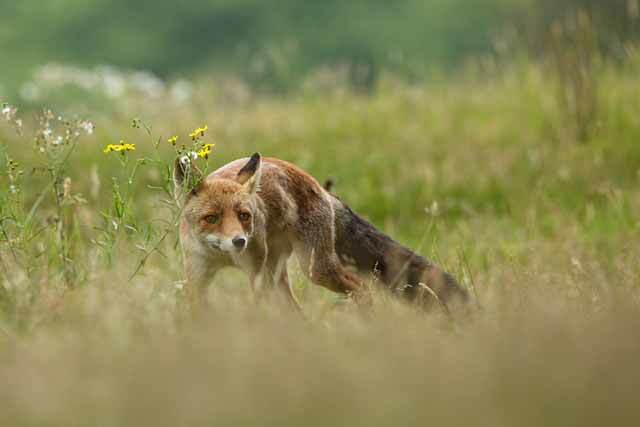 It’s in a field and we have foxes and badgers in the area. We plan to dig down a foot to bury the wire. There are such a variation of wires. Can you advise on the gauge we need please? I would try to go for the best you can afford. British manufactured wire from a farmers outlet is usually the strongest. If you are concerned, I would bury the first length a foot and then overlap the top of it with the next length so that the bottom 3ft or so is doubled up. 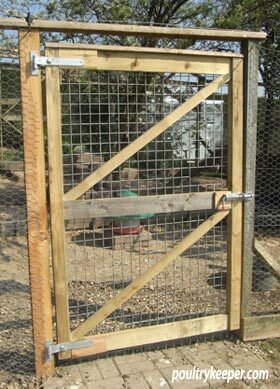 Badgers are incredibly strong but only tend to be a problem at night so locking up your chickens in the coop is the safest. If you have real problems then an electric fence is the only way to really stop them, without using weld mesh! Thank you. I’ve just found some but then realised as its only 3 foot high how do you secure the bottom layer to the next layer? We are using scaffolding poles and cable ties to fix the wire on. Any suggestions would be appreciated as we really want to get this right! When joining netting, I overlap it and use a single galvanised wire to nit it together. I pass it back and forth every 3 to 4 holes. If it’s a long section of wire, it can be hard pulling the wire through so make sure you pull enough through to allow you to reach the end with spare.